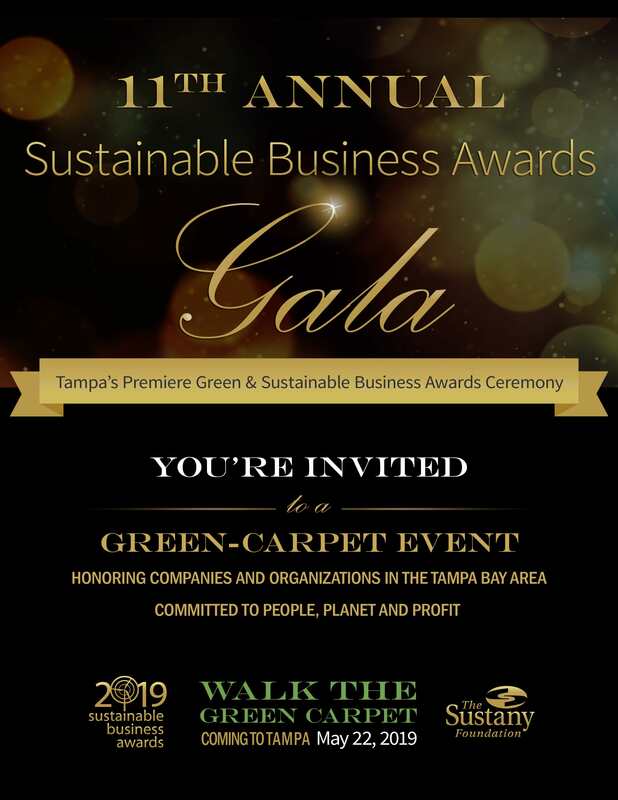 This annual hallmark event recognizes businesses in the Tampa Bay area that are committed to the triple bottom line -— advancing the interests of people, planet, and profit through innovative practices, products, and services. Since 2008, more than 100 businesses have received the award. From small local farms to large corporations, we honor their commitments to social responsibility and environmental stewardship. See all past award winners here. Company contributes to the environmental health of the Tampa Bay area through sustainable environmental practices such as the use of environmentally-friendly products, waste reduction, managing consumption of energy and non-renewables, recycling, toxic substances mitigation and/or LEED construction. Company strives to be a good citizen of the Tampa Bay community through fair and beneficial business practices such as programs to improve work environment, diversity, employee benefits, CSR, community impact and charitable outreach programs. Company contributes to the overall economic health of Tampa Bay through local hiring or purchasing, product/service innovation based on customer needs, community infrastructure, employment growth and reinvestment. Jan Roberts Sustainable Leadership Award: Honors a Tampa Bay area company that has demonstrated longstanding support for corporate sustainability initiatives. 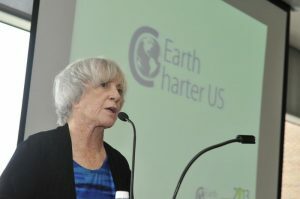 In 2000, a non-profit organization known as Earth Charter US was launched through the vision and persuasion of a woman named Jan Roberts. 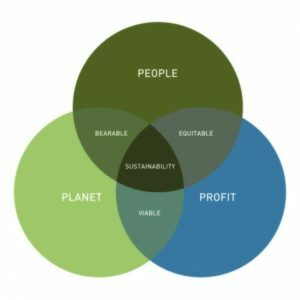 That organization ultimately became part of The Sustany® Foundation, bringing attention to businesses that have embraced the triple bottom line. Jan Roberts is an agent for cultural change, sustainability expert, professor, speaker, and author. She participated in the drafting of Earth Charter, a global agreement for a sustainable future that came out of a UN conference in 1987. She also served as a delegate to the United Nations Sustainable Development Commission. Throughout her career, Jan Roberts has shared her commitment to sustainability with her community and the world. In recognition of her leadership and guidance, we established the Jan Roberts Sustainable Business Leadership Award to honor a Tampa Bay area company that has demonstrated longstanding support for corporate sustainability initiatives. Winners are announced at a formal celebration. Open to the public, the event draws a packed house of guests, including business leaders from throughout Tampa Bay, past award winners, and sustainability professionals. Tickets include catered refreshments, networking, keynote presentation, and award ceremony and can be purchased online at The Sustany Foundation website; stay tuned for ticket information and more for this year’s event.